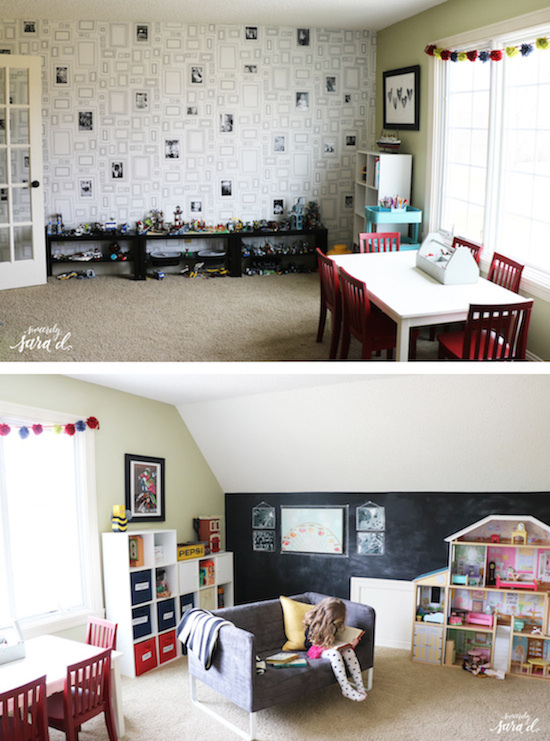 Playroom Makeover with The RoomPlace - Sincerely, Sara D.
Since our home doesn’t have a basement, our playroom sees a lot of use. 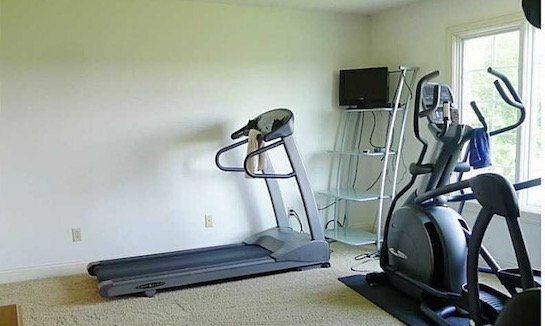 When we first moved into our home three years ago, the room was previously used as a workout room. 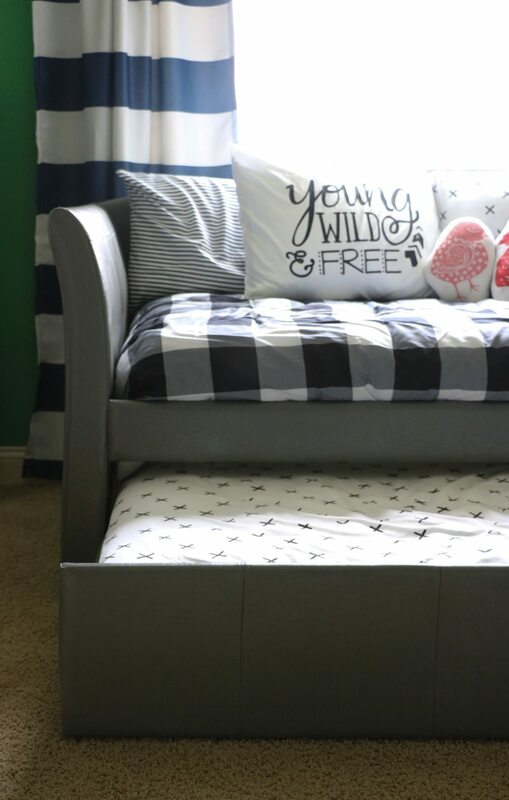 The space wasn’t very exciting, and we transformed it into a fun (and colorful) space for the kids. However, when we first moved into our home over three years ago, the kids were 8, 6 and 2 years old. Since then, needs have changed. The kids have outgrown the mini furniture and previous design. 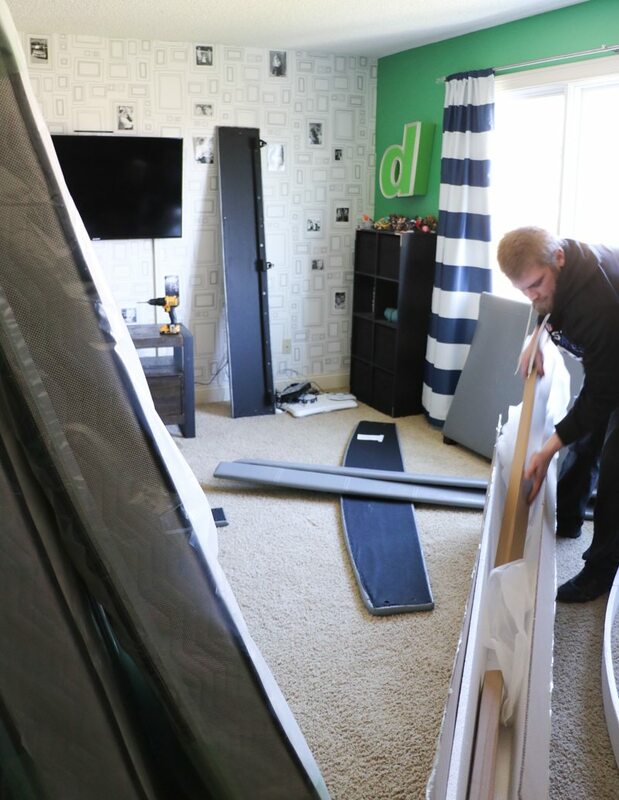 I am excited to partner again with The RoomPlace on our spring playroom makeover (you can see the family room makeover from earlier this month HERE). For the makeover, we moved the miniature furniture out (and extra toys the kids no longer use) and added a few gorgeous pieces from The RoomPlace to the space. 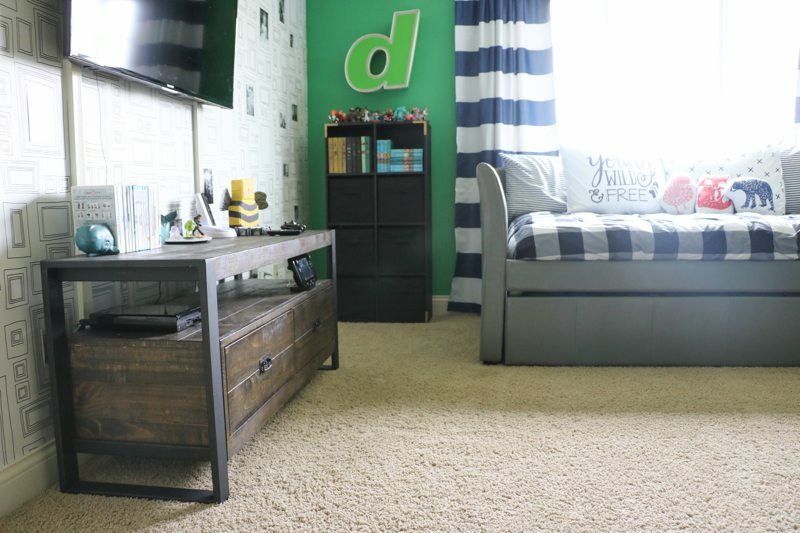 The tiny furniture was replaced with a functional daybed and a TV stand. The RoomPlace delivered the pieces to our home and set up everything. I was able to sit back and watch! 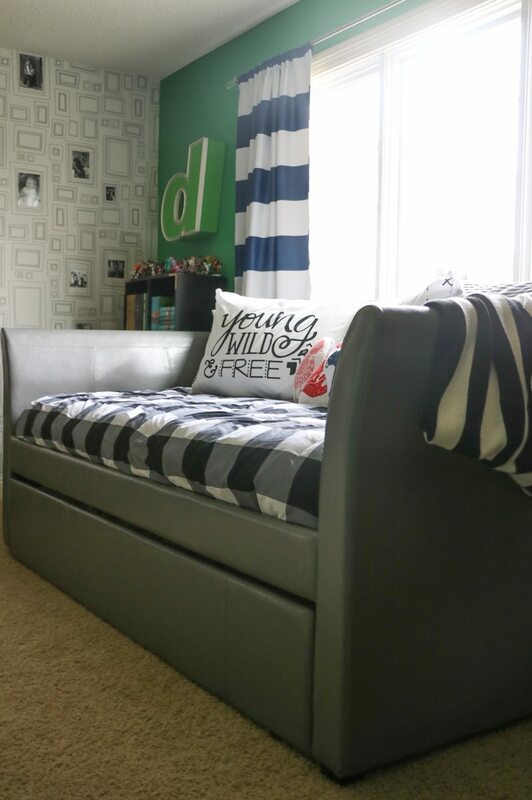 The RoomPlace’s Donovan Gray 3 Piece Daybed with Trundle is the perfect addition to the space. 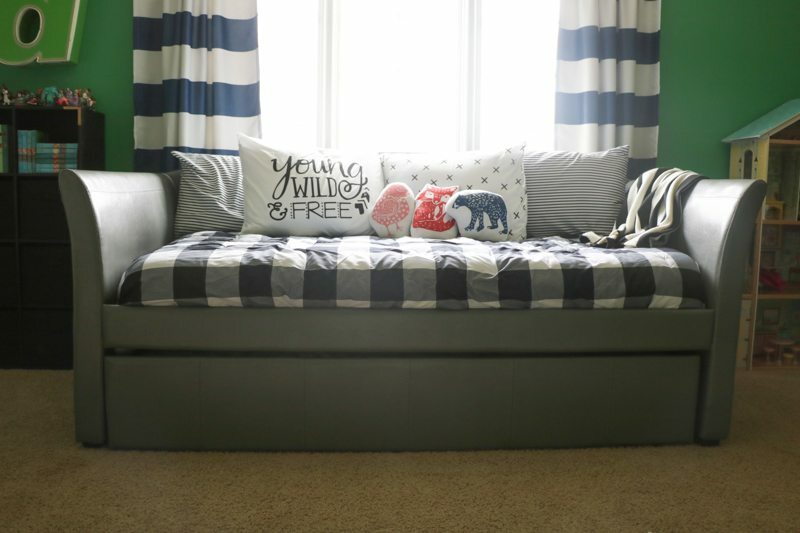 It is a sofa that actually fits my growing kids and includes pull out trundle. This piece works in both small and large living spaces. 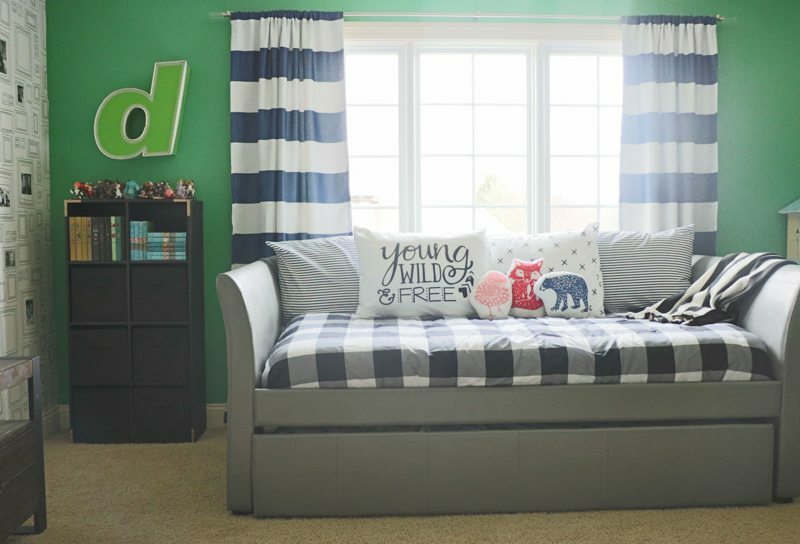 The Therapedic Ortho-Pedic twin firm mattresses are on both the sofa and trundle. 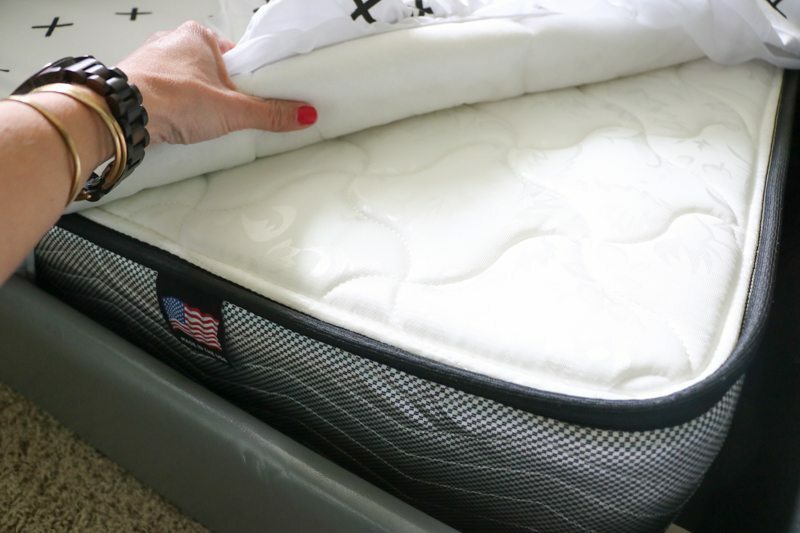 The Ortho-Pedic is designed for great value and blissful relaxation, and it is an incredibly comfortable mattress! There is now a large TV in the space. As my boys grow older, they play with less toys and enjoy watching more movies and playing video games. 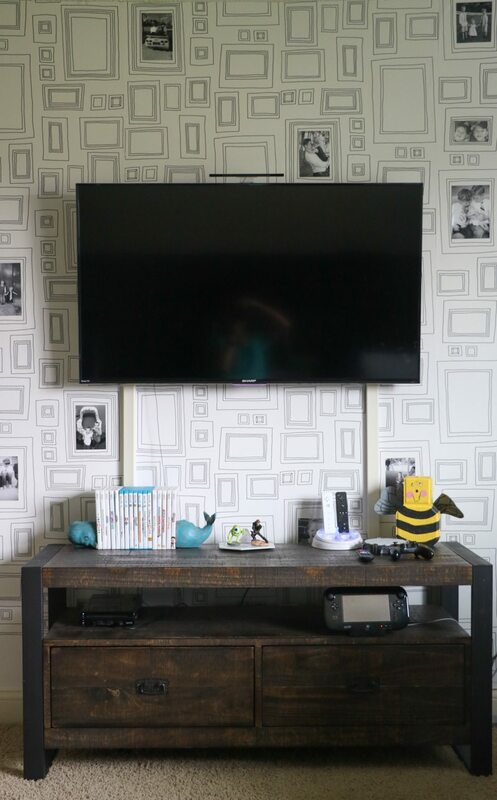 The Sierra 54″ Console Tobacco TV Stand is gorgeous and holds all our WiiU accessories. It is the perfect combination of modern rustic and is constructed using New Zealand Pine solids and veneers in a tobacco finish. The hand sawn weathered distressing making each piece slightly different and unique. 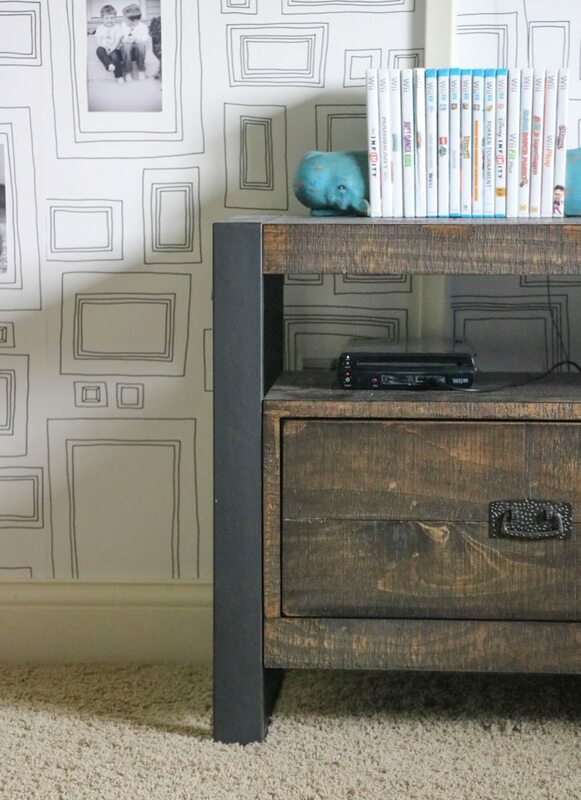 The RoomPlace’s Sierra TV stand creates the perfect focal point for playing video games and hosting movie nights. 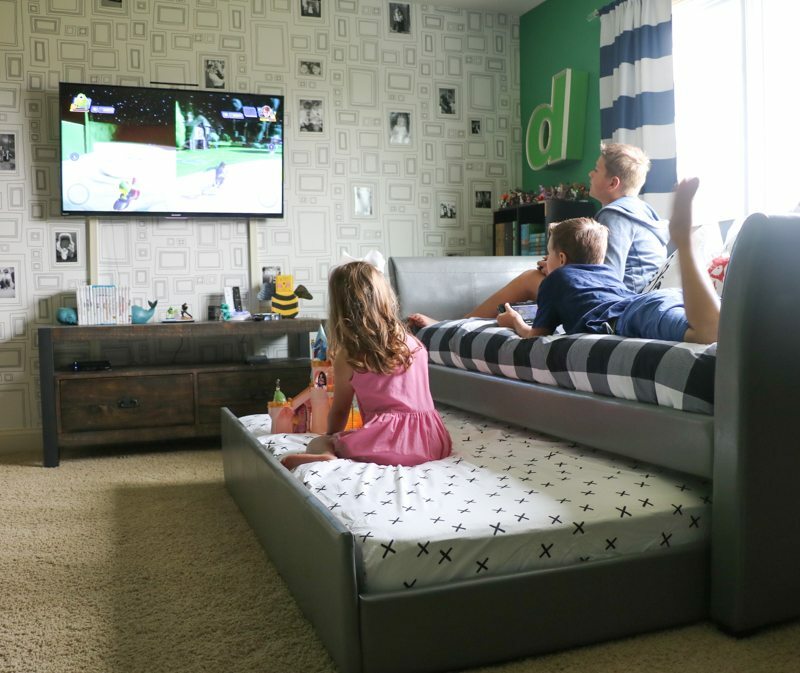 The RoomPlace’s Donovan daybed provides a comfy place for watching movies and is the best sleepover spot for their friends (and perfect for out of town guests). My daughter (being younger than the boys) still loves her toys. We still have space for her to play while accommodating my older boys. 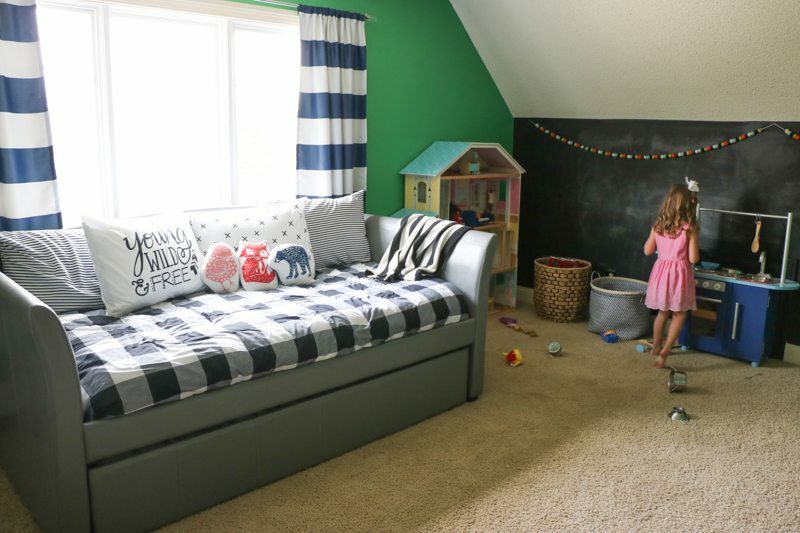 My kids now have a fun entertaining spot for their friends (and it is a space they can continue to grow in to)! 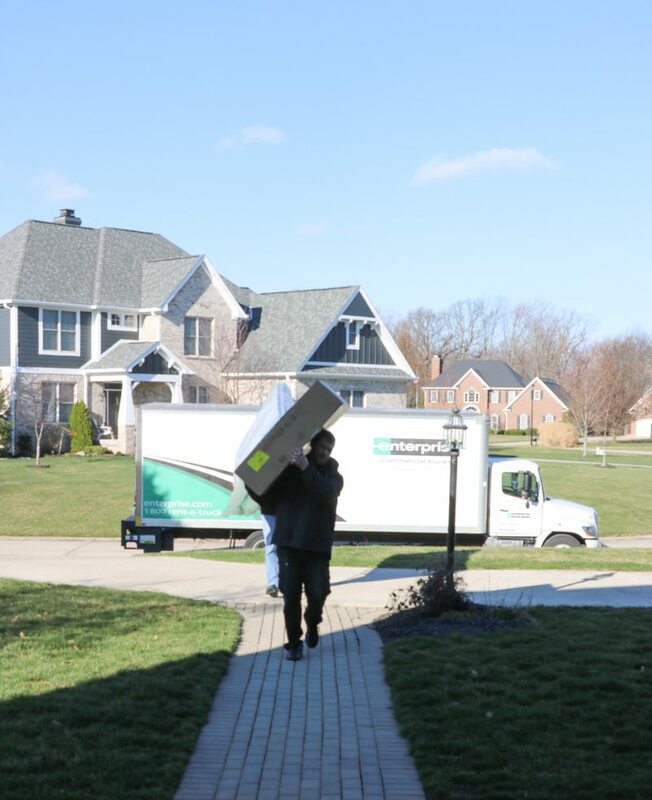 If you’re local, The RoomPlace is the place to go in Indiana and Illinois for stylish furniture and home accessories. 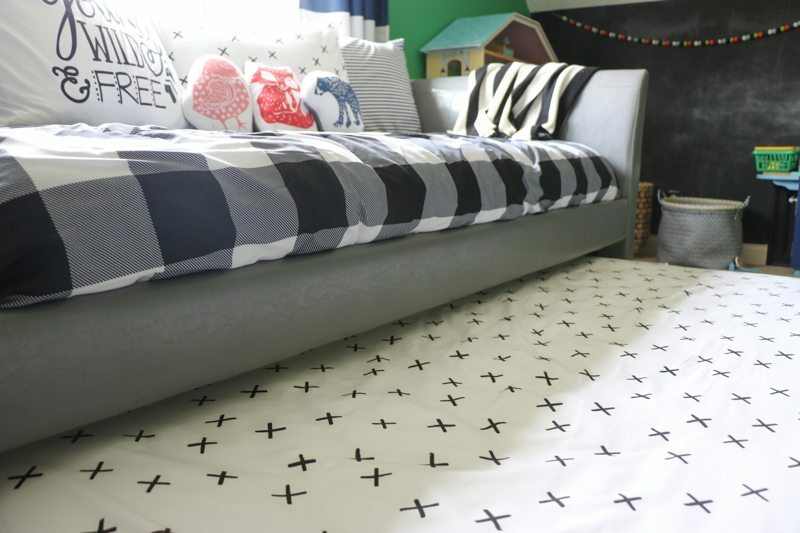 Thanks so much to The RoomPlace for partnering with me on this spring makeover! *This post is a sponsored post by The RoomPlace. I take pride in reviewing only products that fit my brand and will be beneficial to my readers. And while this post is sponsored, all the opinions are my own. Love this!!! 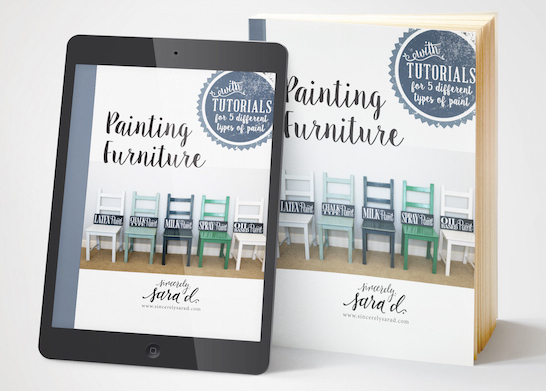 You are definitely a perfect decorator!!! 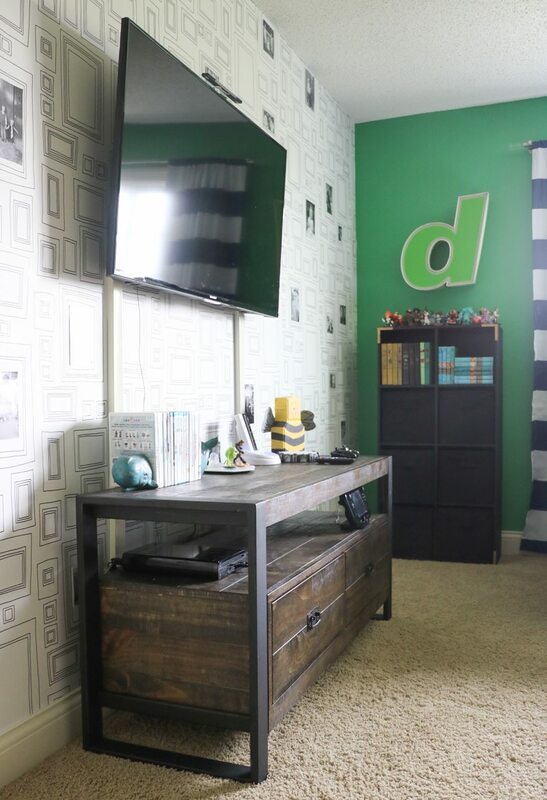 I think the pop of green makes this room feel lively. Love the letter sign too. Hope the neighborhood kids like to hangout at your house!! Hi Gwen! 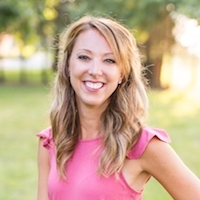 Thanks so much for taking the time to comment and the encouraging words. 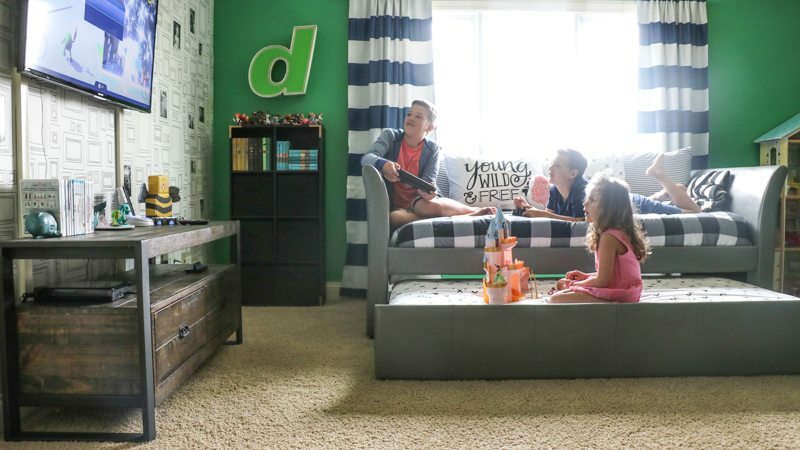 It’s a fun room, and we love having a place where the kids can entertain their friends!